Amazingly enough, when I took The Kidde Holiday Home Safety Challenge I got an 80%…which I guess means that I know all the right things to do, even if I am not always doing them. 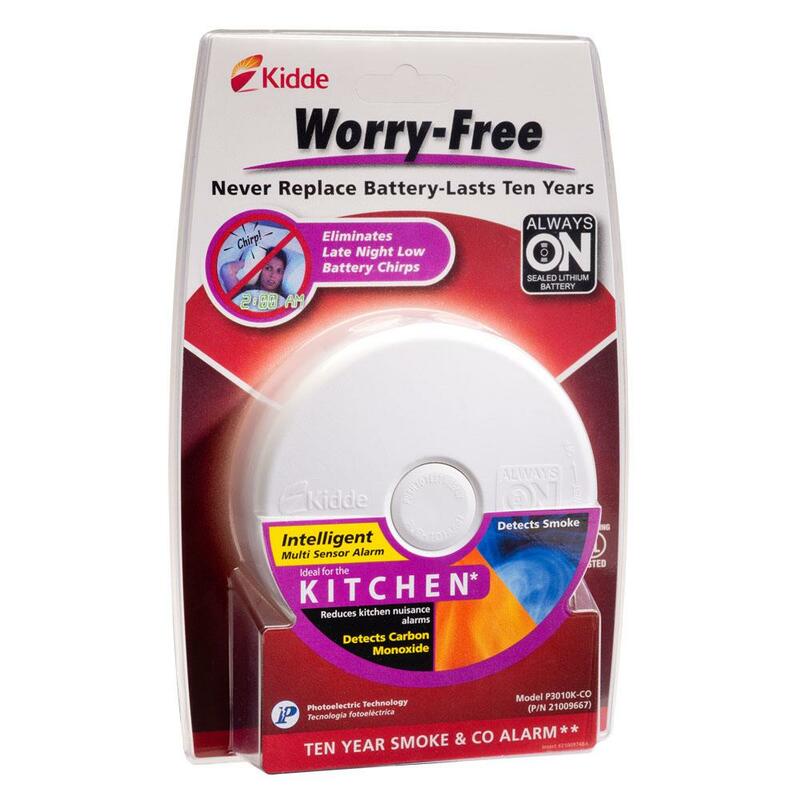 This entry was posted in Giveaways, Health, Parenting, Products and tagged carbon monoxide, fire, giveaway, home safety, kidde, rafflecopter, safey, smoke detector, worry-free alarm by jessica. Bookmark the permalink. I am a Holiday Safety Hero, but I need to remember to check my alarms every 6 months. I scored 90% as a Home Safety Hero and I guess I need more smoke detectors than I thought. oops, didn’t specify which area needs more attention. I need more smoke detectors near our bedroom. I scored 80%. I need to change batteries in smoke dectors every 6 months. Personal note, I need to replace my smoke dectors….I never thought about they going bad. I got a 95%! We do need a carbon monoxide detector though. our bedrooms and our basement workshop need the most attention – thanks for the giveaway! I only scored 55%! :/ Don’t have a smoke detector or a carbon monoxide detector. I couldn’t get the survey to load, but I think I need more smoke detectors around the house and basement. I am a Holiday Safety Hero. I need more alarms around the house though. I scored 80. I need more smoke detectors. I need to place a smoke detector outside the upstairs bedrooms. I scored 85%. I need more smoke detectors and carbon monoxide detectors. I’m a Holiday Safety Star! But I need to work on replacing batteries and smoke alarms more often. Thanks for the giveaway! You scored 85% on this audit. You are a Holiday Safety Star! Nice job! You care about safety but may have forgotten to fix a few things during the rush of the holidays. With a few quick remedies, you’ll be a Holiday Safety Hero in no time! Mine was 85% I need newer lights, and to change the batteries, I just wain until the smoke detector beeps. You scored 85% on this audit. You are a Holiday Safety Star!. I need to work on keeping wires out from under rugs & stuff. I’m a Holiday Safety Star! But need to update our carbon/fire alarms ! I got 100 and nothing needed attention. I need a carbon monoxide detector and to remember to change batteries in the alarms more often. 85% – I have to check the dates on the smoke detectors. I think we are good but may be close. I couldn’t get the survey to load, but I know we need more safety in the newly finished basement. I am a Holiday Safety Hero and need to make sure I check the alarms every 6 months if maintenance has not done so. We only have 1 smoke detector in our entire house and I don’t even regularly check the batteries. I guess our entire house needs attention. my whole place needs one of these! It said page not found? But I need this in my kitchen. My kitchen area needs the most attention. Thanks for the review. The survery helped me see were I needed to improve. You scored 95% on this audit. You are a Holiday Safety Hero! Wow! You are a holiday home safety champ: you set the standard for home safety and are always thinking about how to keep your home in top condition, even during the busy holiday period. Keep up the great work! I scored 90% on this Holiday Safety audit. We need a carbon monoxide detector! I got 90% and I’m a Holiday Safety Hero! Yay! Go me! kristiedonelson(at)gmail(dot)com Thank you. I got 75% and learned more about smoke/carbon monoxide detectors. We don’t replace batteries often enough and don’t have a smoke detector in each bedroom, just in the hallway (but we sleep with the doors open, if that makes a difference). I scored 90%, but need more detectors by the bedrooms. I am lacking with basement safety. I’m not even sure if I have detectors down there 🙁 And here I am so worried about my upstairs. Geeze. I scored a 100%, yeah!